The custom solutions we developed have become the reliable foundation for our corporate clients to run their business operations. Our project experience includes desktop applications, client server applications, web applications, and specialty software including web crawlers, parsers, data conversion tools, and development components. One of the keys to our consistent success developing custom projects, is our Generic Component Library. The Brolin Generic Component Library significantly reduces both the cost and development time of your project. The Generic Component Library also provides consistency throughout your software application, enabling all screens or pages to look and operate in a consistent manner. This translates to a reduction in your training costs and more rapid user acceptance. Brolin's Generic Component Library provides your custom application with the level of features that are normally only available in commerically sold applications with enormous development budgets. Facilities Project Management & Portfolio Reporting developed by Brolin in conjunction with Relign. Relign is a corporate real estate project and planning consulting firm with offices in Palo Alto Californa and Chicgo Illinois. The application services the needs of corporate Real Estate Project Planning and Management and is currenly used to manage more than 1000 projects within several public utilities companies that provide gas and electricity to California. Projects range from modifications of exsiting facilities to ground up construction of new facilities. The application is 100% web based and is designed to operate on corporate intranets and extranets. It allows organizations to view and manage their entire portfolio of real estate projects; including project budgets, anticipated costs, actual costs, cash flow, breakdown of costs by capital and operating expenditures; breakdown of costs by trade codes, breakdown of costs by internal budget and accounting categories, project scheduling and impact on resources, team members and allocated time, milestones and detailed status. The web based application runs under IIS on the Windows 2000 platform. It was developed using the same engine that powers Brolin's SalesMaker. The application includes an automated interface with MS Project to import detailed project cost and scheduling data. documents including CADD drawings, site plans, contracts, etc. Candidate Seeker.com developed by Brolin for Candidate Seeker.com. Candidate Seeker is a new approach to matching employers and qualified job candidates. Brolin created a 100% web based application that automates Candidate Seeker's unique patented process for delivering employment want-ads to potential qualified candidates. The system is used to market and promote Candidate Seeker, to accept and proces online transactions, and to automate and manage Candidate Seekers unique backoffice processing. Brolin had to automate a sophisticated set of business rules that manage the Candidate Seeker process. The web based application runs under IIS on the Windows 2000 platform. It was developed using the same engine that powers Brolin's SalesMaker. Workload is distributed to several servers each running different proceses iincluding the Candidate Seeker Interface and Business Logic Server, Secure Transaction Server, and Email Removal & Parser Server. Dozens of additional servers run various harvesting & parsing applications created by Brolin that are used to find qualified candidates. Commercial Property Database developed by Brolin for the CB Richard Ellis Global Capital Markets Group. CB Richard Ellis is a real estate services company. The system reliably maintains one of the world's largest commercial property transaction databases and serves as a powerful tool to research and analyze the real estate market. The sytsem is based on a client serve architecture. The backend database runs on a Windows NT 4.0 server running MS SQL Server. 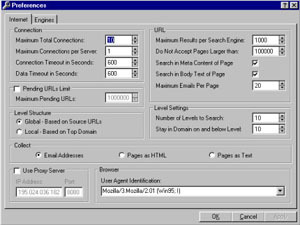 The client application runs on Windows 95, 98, NT & 2000 and connects to the sever via a Novel LAN. The project included teh conversion of exsiting data from the client's legacy system running on an Alpha Micro mini computer. The system tracks detailed property information for properties located all over the world, including managing foreign currency and units of measurement. Restart Property Listing Database Developed for the CB Richard EllisNorth American and Latin American Commercial Real Estate Brokers to provide them with property information to assist them with their leasing and sales activities. The database tracks property locations, descriptions, availability, divisible space, contacts, tenants, sales and lease transactions, absorption history and supplemental data including property pictures. 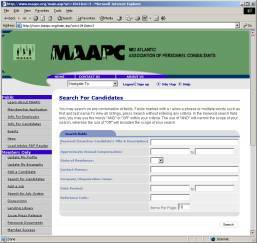 This application was originally created as a Y2K replacement for several legacy systems including a custom main frame system, a custom PC based system and several third party applications. Restart is used in over 50 offices world wide, supporting approzimately 2000 brokers. Brolin's automated setups and updates have made both server and client maintenance simple. Brolin created over 100 reports for Restart, including mapping reports that communciate with a Claritas Mapping Server via the Internet to generate maps that are dynamically inserted into reports. Reports are managed and generated by the Brolin Generic Reporting Engine, which allows the user to specify unique data criteria, parameters,grouping, and sorting, as well as save custom versions of their reports. The Brolin Generic Reporting Engine supports a number of report writers including Crystal Reports and MS Access. Reports can be ouput to Adobe PDF format and automatically attached to email for easy distribution. The Restart application supports localization for foreign countires including foreign currency and measurement conversions. Brolin's Generic Database Object allows the Restart application to be run with different database engines including the MS Jet Engine (MDB) and MS SQL Server. The client application was developed usign MS Visual Studio, VB6, MS Visual C++, Farpoint ActiveX controls, and Brolin's Library of Generic Components. Harvester was developed for Diedre Moire Corporation. Harvester is an industrial search engine (also known as a "spider") designed for taking advantage of the mountains of valuable data stored on the World Wide Web. Harvester can be used to gather all types of data including information about Products, Competitors, Research Topics, Markets, etc. Harvester fully automates the process of searching and collecting data on the Internet. Harvester is commonly used for building a mailing or email list for a direct marketing campaign. 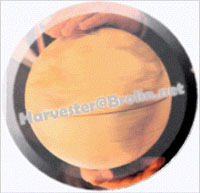 With Smart Harvest technology, developed by Brolin,Harvester can perform extremely precise targeting of data. Harvester runs on Microsoft's Windows NT and fully optimizes NT's multithreaded capabilities. Using sophisticated search algorithms, Harvester filters mountains of data with blazing speed and amazing accuracy. Brolin designed Harvester to be web server friendly! With built-in features to prevent overloading of the servers that are being searched, Harvester assures a friendly presence on the web. Harvester was primarly developed usinng C++, except for the user interface screens which were developed using MS Visual Stuido and VB6. Facilities Project Tracking System developed for LaSalle Partners to manage their construction and facilities maintenance projects at Sun Microsystems. LaSalle uses the Project Tracking System to prepare detailed project budgets, prepare funding requests, submit requests to Sun for approval, track Sun’s funding process, capture project costs, create scope changes to projects, assign project teams, track staff time, track milestones, create purchase orders, work orders, reconcile vendor invoices, and process vendor payments - a fairly entailed process to say the least! Prior to the new system, this data resided in a number of spreadsheets and different databases that were inconsistent and difficult to work with. The Proeject Tracking System has reduced this to a single easy to use application with a consistent data structure. This has resulted in significant time and cost savings, along with improved project management and reporting. Brolin also created modified versions of the Proejct Tracking System for Bank of America and Platinum Corporation (which has merged with Computer Assoicates). Budgeting& Financial Forecasting the Budgets Program is one of the many applications that the Brolin development team has created for the Real Estate industry. The Budgets Program was developed for Koll Management Services for use in over 170 branch offices nationwide to perform detailed financial forecasting for $14 billion in assets. 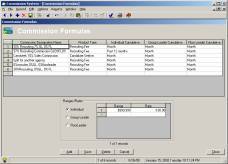 The primary client application was originally developed in Clipper and later converted to Windows. The Budgets program which is installed on the users PC, inlcudes a dial-up link to retrieve updated accounting and lease data from a centralized AS400 running the JD Edwards Property Managment System. Brolin developed a Transfer program that runs on a centralize server and provides the link between the AS400 and the distributed Budget users running the Budgeting application on their PCs. Brolin wrote the Transfer program using Borland C. C was chosen to optimize resource utilization and performance on the Transfer Server. Commisions Database developed by Brolin for the Diedre Moire Corporation, a nationwide personnel recruiting firm. The Commissions Database automates the calculation of complex multi-level commissions that are based on cumulative sales by recruiter and service type. The system was desiged to accomodate both credits and refunds and produces a variety of reports. The Commissions Database currently uses the MS Jet Engine (MDB) as the backend database and the client application was developed usign MS Visual Studio, VB6, Farpoint ActiveX controls, and Brolin's Library of Generic Components. PortalProdigy.com Website developed by Brolin for PortalPriodigy, Inc. PortalProdigy provides software and services to small businesses, non-profit organizations and associations including charities, social, fraternal, sports, youth activity, trade, professional, lobbying and religious ogananizations. The PortalProdigy system is a web based interaction system for operating and managing such organizations. MercerStreet Friends developed using PortalProdigy. Mercer Street Friends in a non-profit organization located in the state of New Jersey. PortalProdigy is a complete interaction management system for building websites. PortalProdigy was developed by Brolin. 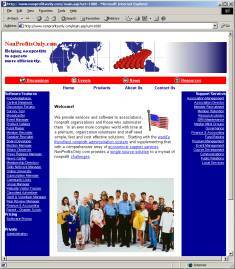 NonProfitsOnly.com Website developed by Brolin for NonProfitsOnly, Inc. as their flagship product. NonProfitsOnly provides software and services to non-profit organizations and associations including charities, social, fraternal, sports, youth activity, trade, professional, lobbying and religious ogananizations. The NPO system is a web based system for operating and managing such organizations. 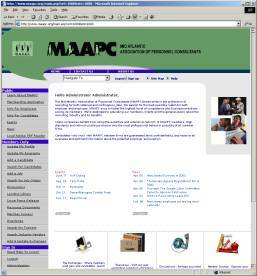 MAAPC.org Website created using the NPO system, developed by Brolin for NonProfitsOnly, Inc., Maapc.org is the Website for the Mid Atlantic Association of Personnel Consultants. A professional trade association representing staffing and job placement service agencies. 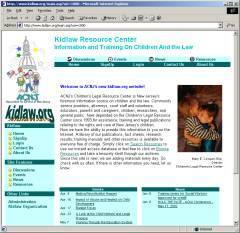 Kidlaw.org Website created using the NPO system, developed by Brolin for NonProfitsOnly, Inc., Kidlaw.org is a New Jersey's foremost information source on children and the law. 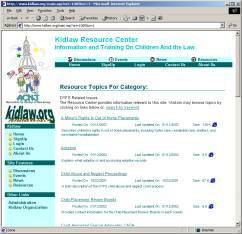 The NPO system allows Kidlaw to easily maintain their docment library and it available to the public. Alkitab Bookstore Website Brolin created the website for Alkitab using the PortalProdigy system. PortalProdigy is a produg developed by Brolin for PortalProdigy, Inc. The Alkitab bookstore has their entire inventory of over 3000 book titles available online. When the US Military needed to purchase books for the prisoners held at Guantanmo Bay, Cuba, they purchased them from online from Alkitab using the PortalProdigy system. .
Time Share Network (TSN) - developed for Invenex to offer and trade real estate time shares on the Internet. Brolin developed the WebServer portion of the application using ASP Scripts, Java components, and ActiveX components. The WebClient side included Java Scripts. Brolin developed a backoffice application using MS Visual Studio. Both the backoffice application and the Web application utlized the same database running on MS SQL Server. Online Bookstores - both Alkitab.com and JarirBooks.net were developed using Brolin's SalesMaker. Alkitab.com currently offers over 3000 unique product items on their SalesMaker website. Securities Trading and Fund Management System - developed for Liquidity Financial Group (LFG) and Summit Advisors to maintain investors, investments, funds distribution, and securities trading of REITs, RELPs and CREFs. Subscription Management System - developed for the National Real Estate Index. Contains a complete subscription and fulfillment management system supporting the National Real Estate Index and its 9 quarterly and 4 annual publications. Project Performance Reporting (PPR) - co-developed by Brolin for the Koll Company. A stand-alone program distributed to 300 plus property managers nationwide and used to create a comprehensive property performance report. The report includes graphs, supporting tables and narrative for actual and projected performance. Creates the report as a document in Microsoft Word format. Work Order Maintenance Tracking - developed for Koll Management Services to process and track maintenance work orders for real estate properties. Manages vendors, building space, tenants, billable work and non-billable work. Direct Connect - developed for Commerce Security Bank and Amerimax. Transfers and processes flood certifications required for mortgage processing. Includes link between Commerce Bank mainframe application where data is originated and Amerimax certification system. Project Tracking System (LPT) - developed for LaSalle Partners and Sun Microsytems to track facility construction and move projects. Includes tracking of funding, budgets, detailed cost breakdowns, work order processing, purchase order processing and team management. Move Database - developed for Sun Microsystems to inventory the relocation of employees and resources such as furniture, computer equipment, telecom equipment, LAN connections, etc. Bank Facility Reporting - developed for Bank of America to track facilities' lease and sub-lease data used in a variety of reporting functions. Includes import function to download data from Bank of America's ACRES mainframe database application. Data Conversion and Transfer - developed for Fleet Bank to convert and transfer GL budget data to process approximately 300 cost centers totaling over 30,000 GL accounts from the Brolin built financial forecasting application to and from Timberline, MRI and Skyline accounting systems. Investor Database - developed for Rubloff. Tracks commercial real estate investors and brokers for contact management and business promotion. Produces follow up and solicitation mailings and tracks response. Project Information Base - developed for Koll Construction to provide information for contract bids and marketing proposals. Provides a central database for storing and retrieving critical information on every project built by Koll, including projects currently under construction as well as project history and employee expertise. Includes remote access and data consolidation from regional offices. Sub Contractor Database - developed for Koll Construction to capture and track submission of bids by sub contractors. SMART - developed for Koll Facilities Group to perform mailroom and reprographics management, statistical compilation and reporting. Documentation Processing - developed for Document Assistance Corporation to process documentation for secondary mortgages. Includes tracking of signers, brokers and insurance sales and commissions. Brokerage Commissions - developed for the Koll Company to process and track commercial real estate brokerage commissions. Med Legal - developed for medical centers specializing in workman's compensation. Captures and processes patient medical data, patient billing, patient history, insurance claims and submission, insurance carriers plus all costs and expenses. Also prints court documents for legal proceedings and a variety of management reports. Drug Formulary - developed for RX Calibur as their initial product. Hand held medical cost containment tool used by physicians in providing services for large healthcare providers such as FHP, Blue Cross, and PacifiCare. Alternative Remedies Manager - developed for medical professionals to manage non-standard remedies and treatments. Includes database of prescribed remedies such as vitamins, herbs, and nutritional supplements. Season Ticket Management Program - developed for the California Angels Baseball Team to manage seat inventory and season ticket holder information, as well as perform related renewal billing, accounting and reporting functions. Clerks Automated Tracking System (CATS) - used by over 40 counties throughout the State of California to automate issuance, tracking and electronic submission of marriage licenses, fictitious business names, environmental impact filings and notary public certifications. SAGAI - Automated Banking System - developed for Audit Informatic. Used by French banks including Bank Popular and Credit Agricol to automate all accounting and financial processes including clients and transactions. Also automates the maintenance of international credit lines and the transfer of funds. Locator - developed for Neutrogena as an inventory and warehouse management system for tracking raw materials, work in process and finished product. Traffic Manager - developed for Neutrogena to manage their nationwide product distribution. Creates and tracks shipping manifests, container listings, and bills of lading plus lost cargo and insurance claims. PC Inventory - used to automate inventory of PC configurations. Small footprint program to perform low level reading of DOS and Windows configurations, memory, drive space, installed applications and configuration files. Includes optional questionnaire screen to gather user information. Used by one of our clients to successfully inventory their nationwide installed base of over 500 PCs. Disaster Warning System - developed for the Bulgarian National Guard. Warning and management system for natural and nuclear disasters. ATM System - developed for European banks to run automated teller machines. Includes reading of magnetic strip cards, processing bank transactions, dispensing cash, and links data to IBM mainframe applications. SCADA, Supervisory Control and Data Acquisition - developed for ASI Engineering, a subsidiary of Siemens (Germany), to automate the inventory and processing of municipal water supplies. Extractor - developed for Diedre Moire to extract phone numbers and email addresses from large volumes of html and text pages harvested from Internet Web and FTP sites. The optimized design provides extremely fast search and retrieval. Although this list is fairly comprehensive, we have worked on a variety of other projects, plus many of our developers bring experience from projects prior to employment with Brolin. If you have a project requiring specific industry or development experience, please don't hesitate to inquire with us.